KOALA CUTENESS A detailed look at koalas’ newly mapped genome may help researchers understand why the animals are dropping in number in the wild. 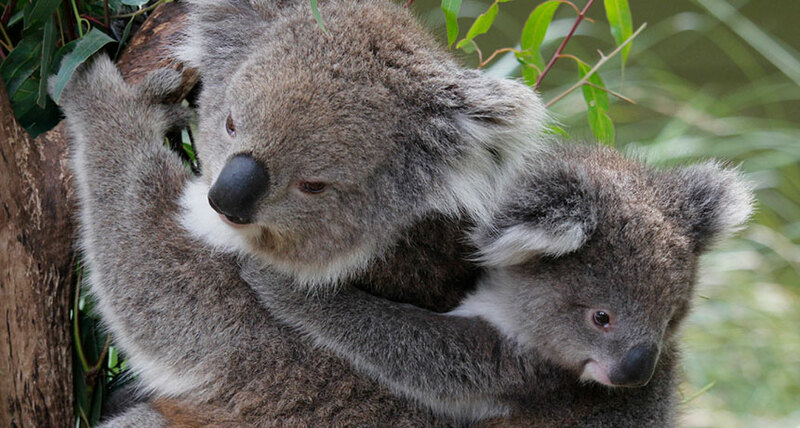 Koalas have joined the menagerie of creatures with fully deciphered genetic instruction books, or genomes. A large team of researchers published the detailed look at the koala genome online July 2 in Nature Genetics. Why do we care? Lots of people love koalas. The iconic animal draws at least $1.1 billion in Australian dollars in tourism every year, according to the New South Wales government. But the number of koalas in the wild is declining, and researchers are combing the genome for clues about how to save the creatures. Already, scientists have found that some koala populations are less genetically diverse than others. The genetic diversity survey also showed that koalas from different sides of some geographic barriers don’t mix often. Brisbane Valley and the Clarence River were already known to separate koala populations, but the new study found that a region called Hunter Valley is a barrier, too. Armed with that knowledge, conservationists may be able to devise new strategies for limiting inbreeding and keeping koalas genetically diverse. How many genes does a koala have? 26,558. Researchers had previously counted only about 15,000 koala genes, but new techniques allowed scientists find more. Is that a lot? Yes, depending on what organism you’re comparing it with. That’s more than the newest estimate of 21,306 protein-producing genes in humans. But plants often have thousands more genes than animals do.